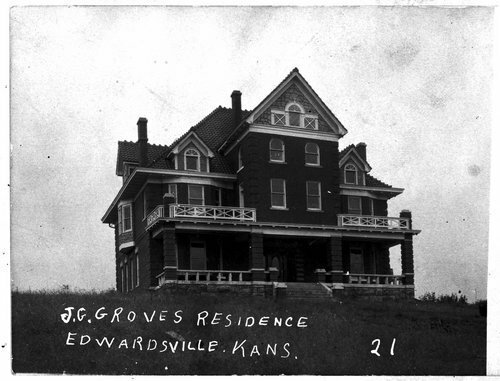 View of the Junius G. Groves residence in Edwardsville, Kansas. Groves, also known as the "potato king," was a potato farmer. He was so successful that the Union Pacific Railroad built a spur to his property because of his shipping quantity. Junius also founded the community of Groves Center and sold small tracts of land to African Americans.